Did Hunter-Gatherers Have Low Serum Cholesterol? [W]hat of the reports of hunter gatherers having low cholesterol. Is it the product of fringe environments, or low infectious burden, or what? Let’s look into this. Do hunter-gatherers in fact have low cholesterol? If so, why? As far as I know, this idea originated with and was promoted by the fathers of Paleo dieting, S. Boyd Eaton and Loren Cordain, and their collaborators. The published paper has 101 references and takes 11 pages in the journal, yet no supporting references for the cholesterol data were included. The caption states that total cholesterol (TC) ranges between 70 and 140 mg/dl in hunter-gatherers, and LDL cholesterol (LDL-C) between 35 and 70 mg/dl. However, this claim is unsourced. The paper provides references for assertions that LDL tends to be around half TC, and that modern Americans have TC around 208 and LDL-C around 130, but there are no references for hunter-gatherer cholesterol levels. The data in this graph seem to be drawn from the Eaton, Konner, and Shostak paper . The Hadza number is the same as the 109.5 mg/dl (2.83 mmol/l) average of the male and female Hadza in ; Inuit at 141 mg/dl (3.65 mmol/l) is the same as “Canadian Eskimos” in ; !Kung and San (probably the same people) are both listed very close to the 119.5 mg/dl (3.09 mmol/l) average of “Kalahari San (Bushmen)” in ; Pygmy looks identical to the 106 mg/dl average of male and female “Congo Pygmies” in . It looks like they just copied from Eaton et al but deleted the Australian Aborigines who in  had a male-female average TC of 139 mg/dl (3.59 mmol/l). So over 23 years, to judge by these papers, Eaton et al and Cordain et al have yet to cite a peer-reviewed article in support of the proposition that hunter-gatherers had low cholesterol. Where did this idea come from? And is it true? Are hunter-gatherers – either their diets or their genetics – so different from modern populations? 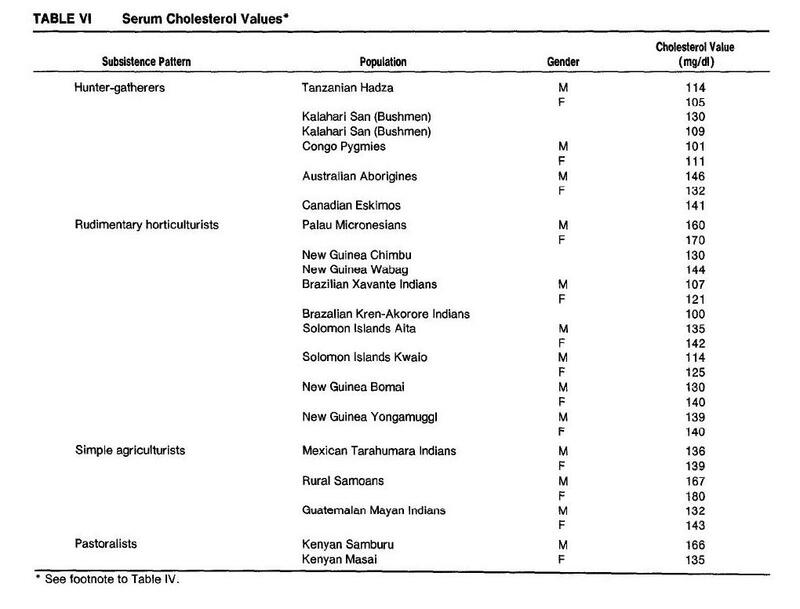 Or is the claim that healthy hunter-gatherers have low serum cholesterol a mistake? I think this is an interesting question, with implications both for the design of Paleo diets and for our interpretation of serum lipid results. When we discussed HDL, I argued that some dietary methods to raise HDL might benefit us by enhancing immunity (see HDL and Immunity, April 12, 2011; HDL: Higher is Good, But is Highest Best?, April 14, 2011; How to Raise HDL, April 20, 2011). Might a similar strategy for dietary manipulation of LDL be desirable too? On Thursday I’ll survey the literature on hunter-gatherer cholesterol. 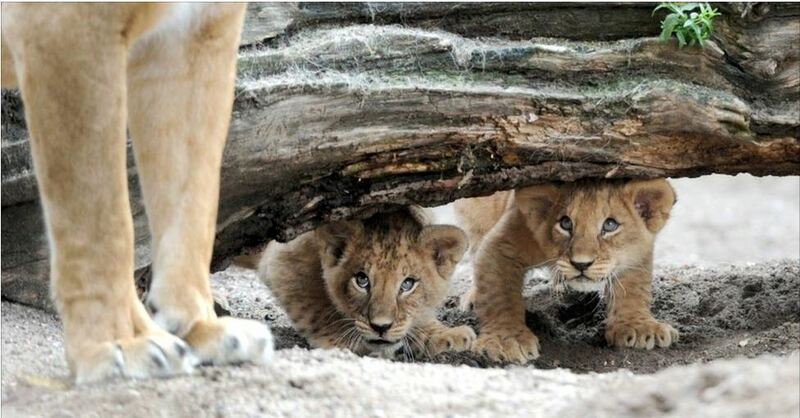 What are their numbers really? Next week I’ll continue the Blood Lipids and Infectious Disease series by looking at the immune functions of LDL cholesterol. What happens to LDL when people get infections? Is there an optimal LDL level? In conclusion of the series I’ll return to the issue of human populations – whether hunter-gatherer, horticultural, pastoral, or modern – and what their cholesterol levels tell us about their health. Why do some populations have low serum cholesterol and other populations have much higher cholesterol? This might lead us into issues such as: Has there been recent human evolution toward higher cholesterol levels? Are there biological differences in optimal cholesterol levels among different human populations – for instance, Africans and Eurasians, or aboriginal populations and descendants of Neolithic farmers? O’Keefe JH Jr, Cordain L, Harris WH, Moe RM, Vogel R. Optimal low-density lipoprotein is 50 to 70 mg/dl: lower is better and physiologically normal. J Am Coll Cardiol. 2004 Jun 2;43(11):2142-6. http://pmid.us/15172426. Konner M, Eaton SB. Paleolithic nutrition: twenty-five years later. Nutr Clin Pract. 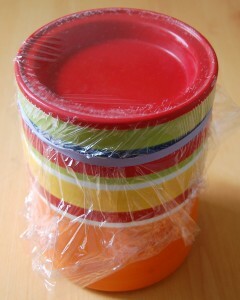 2010 Dec;25(6):594-602. http://pmid.us/21139123. 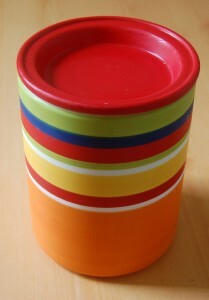 Full text: http://ncp.sagepub.com/content/25/6/594.full. 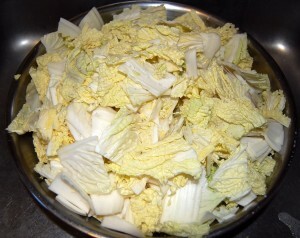 After our post on Kimchi (May 15, 2011) we decided to start making our own fermented vegetables. Foods are always healthier when made at home, and you can adjust the ingredients to fit your taste. I’m happy to say it’s been a big success. 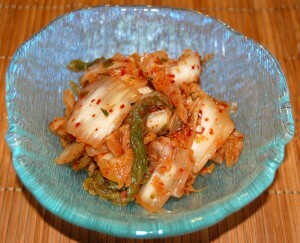 Our kimchi is tastier than store-bought kimchi, probably much healthier, and we’re eating more of it. 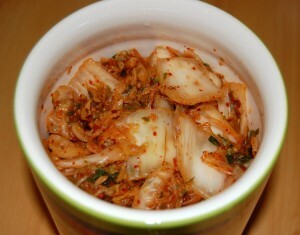 We’re making a number of different varieties, including white radish kimchi and cucumber and carrot kimchi. 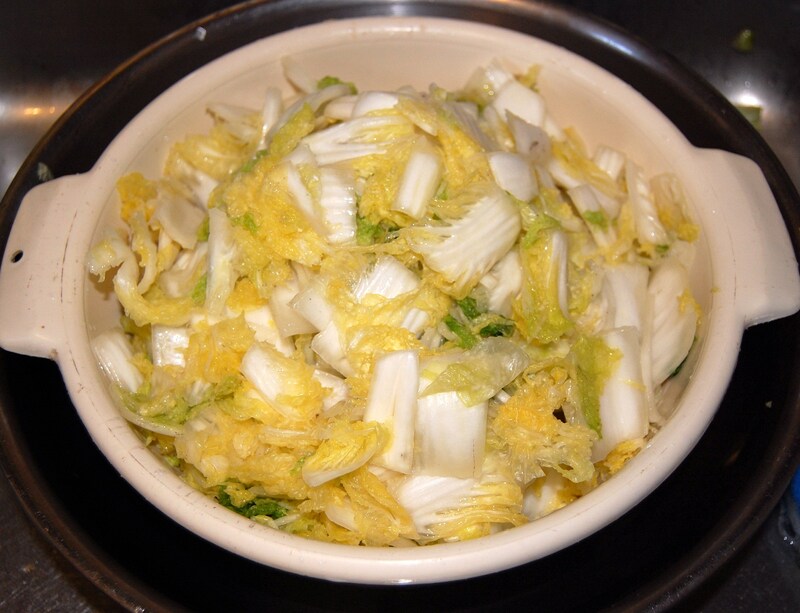 The methods are essentially the same, so we’ll just show you the traditional Korean cabbage kimchi. The outer layer usually is dirty or has some damage, so we discard that. We also cut out the stem. The next step is to salt and dehydrate the cabbage. The salt helps draw water out of the cabbage, preventing the kimchi from becoming watery or soupy, and also helps sterilize the cabbage for a more consistent fermentation. 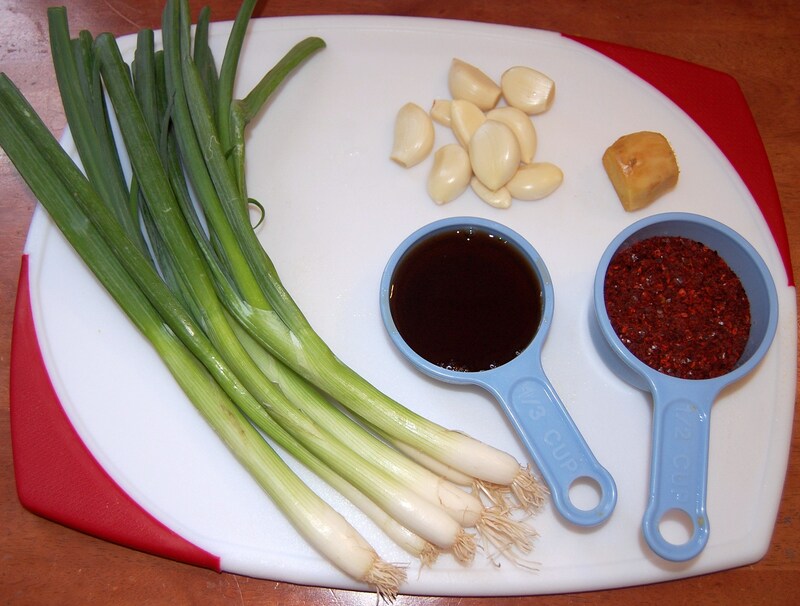 For our marinade we used green onions, garlic, ginger, coarsely ground cayenne pepper (sold in Korean stores as “red pepper powder”), and fish sauce. 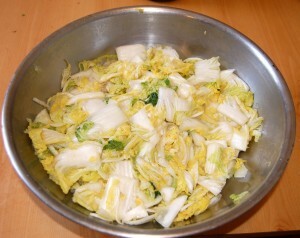 We recommend about a ¼ cup of both fish sauce and red pepper in 5 pounds cabbage for a moderately spicy kimchi. 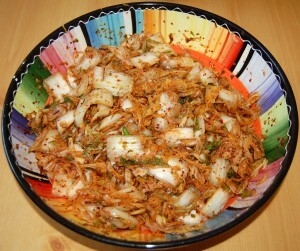 The amount of fish sauce and of pepper is probably the biggest determinant of the kimchi’s taste. 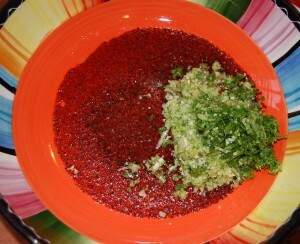 At this point you can taste the mixture and decide if it needs more salt or other spices. When you like the taste, it’s ready to begin fermenting. 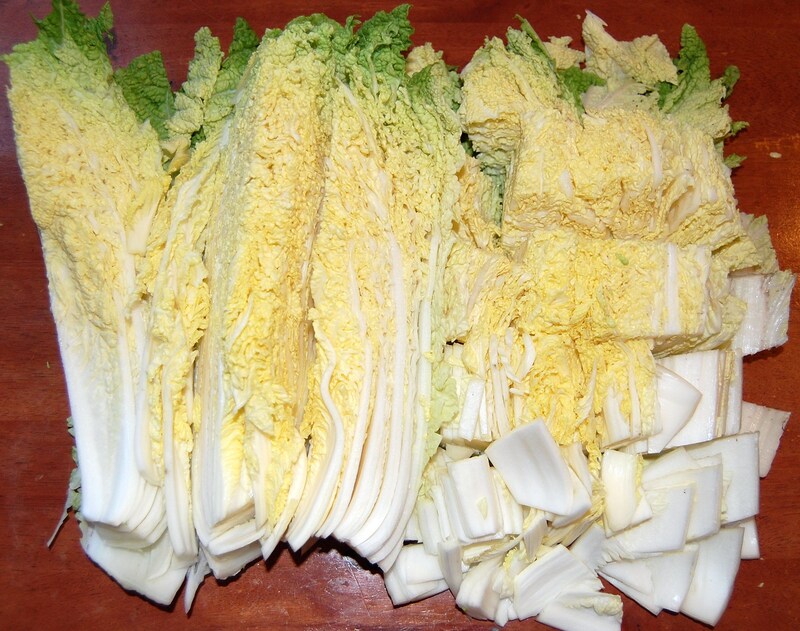 Keeping oxygen out helps assure that the bacterial species which develop are better suited to the anaerobic environment of the gut, creating a more probiotic mix of flora and preventing the kimchi from going bad as quickly. To accelerate the fermentation, you can leave it out at room temperature overnight, or for two nights. After that, it should be kept refrigerated. Our kimchi seems to last considerably longer than store-bought kimchi. Ours has still been good after 2 weeks. 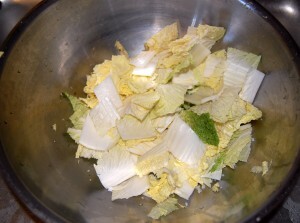 The whole process is very easy – basically, just mix the ingredients and let nature take its course. Kimchi goes best as a complement to fatty foods. Try a piece with each bite of ribeye steak http://perfecthealthdiet.com/?p=2775; or eat it with Cambridge Fried Rice. Interesting posts: Jamie Scott channeled his inner Staffan Lindeberg and performed the Vanuatu Study: “The Diet and Lifestyle of the People of Vanuatu: Paleo in Paradise”. It has a lot of pictures and descriptions of the Kitava-like Paleo diet and attractive good health of the natives. Unfortunately, fewer Melanesians are eating traditional diets, and we may not be able to observe traditional diets in native populations much longer. Chris Masterjohn helps us understand Weston A. Price. He also did a fascinating podcast with Chris Kresser on LDL cholesterol: The Healthy Skeptic Podcast Episode 11. Speaking of cholesterol, Ned Kock reported that alcohol increases LDL cholesterol in people with the ApoE e4 allele, but decreases LDL cholesterol in people with the ApoE e2 allele. In another post, Ned notes that a 6-foot man can be strong and healthy at 145 pounds. The moral: Be yourself; don’t think your body needs to look like someone else’s. “It was very tough. I was hungry all the time. It was a starvation diet and food was on your mind all the time,” he said. Many bloggers commented, including Peter Dobromylskyj, Jenny Ruhl, and Pål Jåbekk. Melissa McEwen cured a skin condition by getting more vitamin A. Matt Stone offered a Paleo failure story, and linked to some pictures of hypothyroid faces. CarbSane found that selenium cured her insomnia; in the comments Mario argues that selenium may be protecting against metal and halogen toxicity. Keith Woodford links to research showing that opioid peptides from cow’s milk drank by the mother can enter babies via breast milk and argues “the implications are huge”. Dr. Briffa notes that the artificial sweetener aspartame is converted to formaldehyde, a potent carcinogen, in the body. Chris Kresser discusses why it’s possible to have trouble with coconut milk. In the comments Tony Mach says the biggest BPA exposure comes from handling cash register receipts. 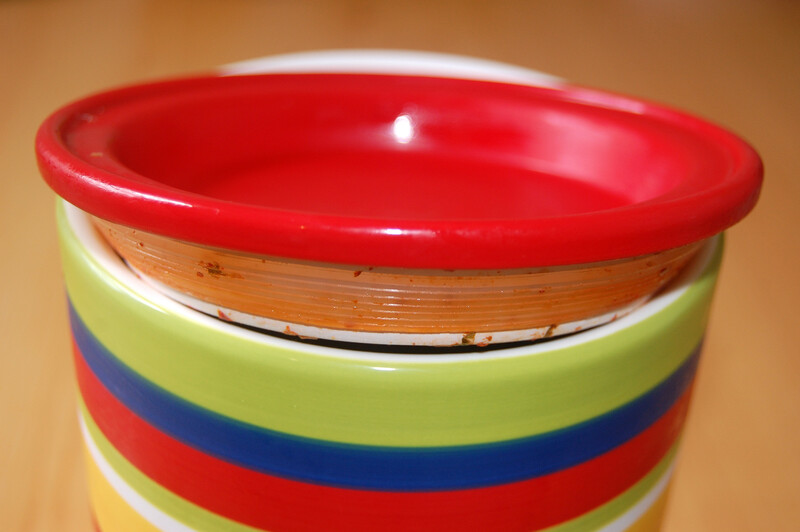 Via The Telegraph, many dishwashers are infected with fungi and deposit potentially dangerous fungal pathogens on plates and utensils. Via Craig Newmark, Top Ten Myths About Introverts. Tom Naughton reveals that the government issued health warnings against cholesterol in the 1960s at the direction of Lyndon Johnson – who wanted to reduce the price of eggs to improve the inflation statistics! NBA player Robert Horry leaves a poignant letter to his daughter, who died from a genetic disease. Finally, for our academic readers, the oldest known journal rejection letter, written to Ptolemaeus in regard to his method for measuring the circumference of the earth. In this video, recorded live in 2003 in Paris, Petula is 70 years old and looks great. At 78 she’s still performing. I wonder what diet she eats? I would like there to be one diet book. One book that is constantly updated with new research. It would be The Diet Book. 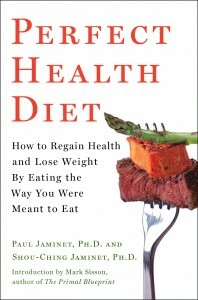 The book that made all other diet books superfluous. The go to place for everyone interested in achieving good health. The only book we would need…. The one book I’ve found that comes closest to being the diet book to end all other diet books is Perfect Health Diet. Had it replaced the official dietary guidelines we might actually be getting somewhere. 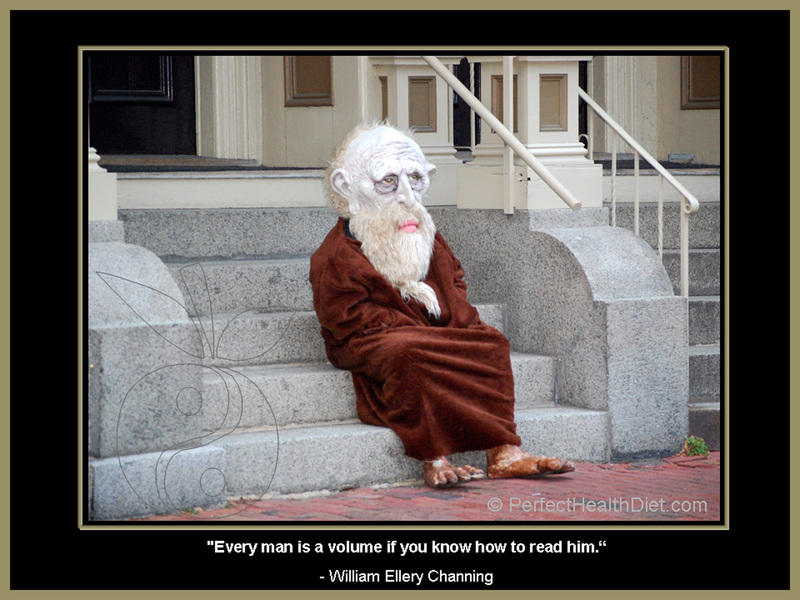 The Perfect Health Diet book is not a perfect book, nor should it be. I think that some of the composition could be improved as well as the lay out and I would’ve liked to see some statements moderated, but content wise and information wise, Perfect Health Diet appears as a good first draft of a book with the potential to end the need for any more diet books. I am excitedly looking forward to the second edition. Pål is one of our favorite bloggers and a perspicacious writer on health, so this is high praise. As he says, our book is a work in progress. We are still learning, and that is why blogging is so much fun. The growth of knowledge is a cooperative process, and we continue to learn from other bloggers and from our readers. We believe that diet should be a primary therapy for all diseases, and that with a good diet and appropriate antimicrobial therapies nearly all diseases can be cured. It’s exciting therefore to hear from readers, especially sick readers, who apply our ideas. We are grateful to readers who share their experiences with us, whether good or bad. Both successes and failures are educational. Like Pål, we look forward to a second edition. We aim for the perfect diet, but we know that we have not yet written the perfect book. To achieve excellence, an evolutionary process is usually required. We’re most grateful to all those who apply our ideas and help us refine them. Just a note of thanks for helping me control migraines/headaches. Ketogenic diet has made an enormous difference in my life. Down from 24 days of headaches in February to only 4 days in June! My M.D. is suffering cognitive dissonance – thrilled with the decrease of headaches, but “suggests” a minimal dose of statins to prevent atherosclerosis – despite an HDL of 99 and TRG of 52. Obviously, I won’t be taking statins!… Thanks again. We believe that ketogenic diets are probably therapeutic for nearly all neurological diseases, so we hope more people with brain or nerve disorders will try our version of the ketogenic diet. Don’t rush to your funeral: A Russian woman, wrongly declared dead, woke up at her own funeral and had a heart attack when she realized she was about to be buried alive. It’s good to supplement magnesium: A study in AJCN found that women in the highest quartile of dietary magnesium had a 37% lower risk of sudden cardiac death, and in the highest quartile of serum magnesium had a 77% lower risk of sudden cardiac death, than women in the top quartiles. In the same issue, a clinical trial found that supplementation of 500 mg/day magnesium was beneficial for obese people. We recommend supplementing magnesium at 200 mg to 400 mg per day. 500 mg/day is more likely to produce an observable effect in a 4-week trial, but is more than we would recommend for long-term supplementation. My interview with Cary Nosler’s Wide World of Health: The podcast is available for download here. O Primitivo on LDL, meat, and mortality: Ricardo (“O Primitivo”) of Canibais e Reis (“Cannibals and Kings” in Portuguese; inspired by Marvin Harris’s book), who was the source of the data discussed in Tuesday’s post, tried to leave a comment there but it had too many links for our spam filter and was lost. Fortunately, he emailed me with some fascinating information. First, he has compiled a database specifically correlating LDL cholesterol levels to various health conditions. This is a very valuable database and I hope he’ll blog about it before long. LDL levels are highly correlated with total cholesterol, so the results are similar to those in his total cholesterol database, but still interesting. On a Korean study showing lowest mortality with TC between 211 and 250 mg/dl. On a Japanese study showing lowest mortality with TC between 240 and 259 mg/dl. A list of letters and papers from the pioneering cholesterol scholar Dr. Uffe Ravnskov. Plus a number of links to recent papers which I’ll leave for him to blog about. Thank you, Ricardo, for all the great information. You have a fantastic blog. Farmageddon – Movie Trailer from Kristin Canty on Vimeo. Is Shou-Ching to blame for our rice habit? I thought I’d interrupt the lipid series to talk about the place of rice in our diet. This is also an opportunity to explain to those who haven’t read the book the logic underlying our diet. White rice is touted to be basically pure starch by Paul Jaminet on the basis that Asian people eat it so it must be healthy right? Not exactly. Cliff goes on to express concern about phytate toxicity and low nutrient density. Rose (in the comments) was concerned about beriberi (thiamin deficiency disease). My theory on Jaminet’s apparent love of white rice is his Chinese wife. My own wife is Chinese (well, Taiwanese). When I explain that maybe white rice is not so good for optimal health, I get the speech about Chinese people eating rice for thousands of years, blah blah blah. Bottom line: you try telling a Chinese person that rice is anything less than good for you and you happen to be that person’s husband, well, basically you’ll be sleeping on the sofa for a week. In fact Shou-Ching is as interested in good health as I am. She often makes the point that in traditional Chinese cooking rice was eaten more as a palate cleanser than as a staple calorie source. We like white rice, but if evidence showed it to be unhealthy we’d be equally quick to stop eating it. And, John – Shou-Ching is so nice, when she gets mad at me she goes out and sleeps on the sofa! Obtain enough of every nutrient to be fully nourished. 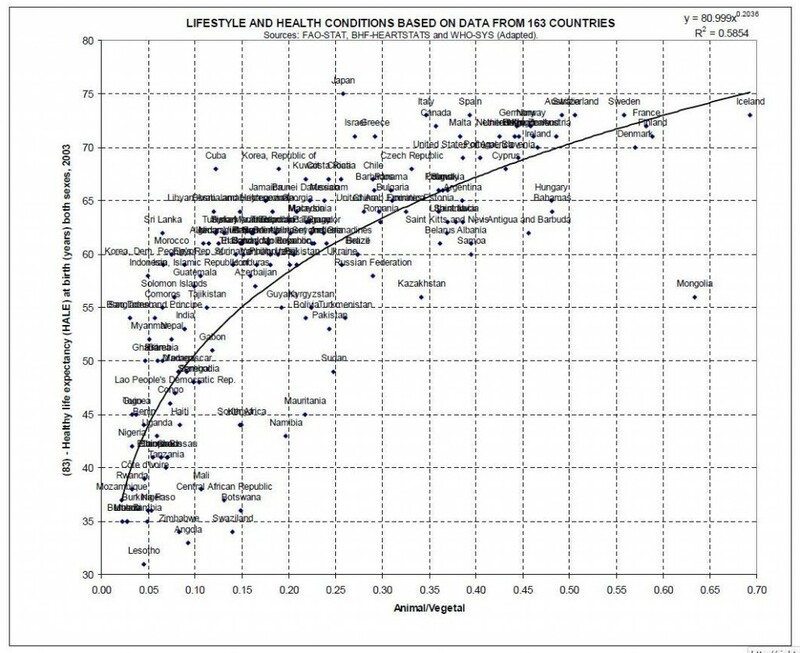 It shouldn’t be possible to improve health by adding further nutrients. 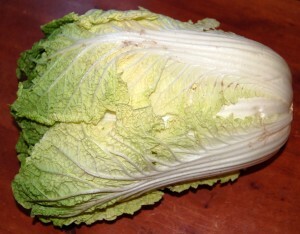 Eat so as to minimize the diet’s toxicity, by eating very little of any one toxin. Since “the dose makes the poison,” tiny quantities of diverse food toxins can be tolerated, but no one toxin should be abundant in the diet. A third principle is that meals should be tasty and delicious. We believe our innate taste preferences evolved to help us be healthy, and therefore pleasurable meals are healthful meals. (This was our sticking point with Stephan Guyenet’s interpretation of food reward: see Thoughts on Obesity Inspired by Stephan, June 2, 2011.) Apart from healthfulness, however, we consider tastiness of food to be a positive value in its own right. Luckily we believe the most healthful diet is also the tastiest! 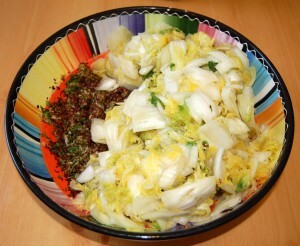 Any food which is low in toxins can be included in our diet. Low toxicity is the key, because a missing nutrient can be obtained from other foods – or from a multivitamin or supplement. But there are usually no antidotes to a toxic food. Rice is very low in toxicity. Most rice toxins reside in the bran, so milled white rice is already low in toxins. The great majority of white rice toxins are destroyed in cooking. As a result, cooked white rice is almost toxin free. Cliff worried about phytic acid, but the amounts in cooked white rice are small – lower than almost all other seeds, nuts, grains, and legumes, and about one-twentieth the level found in such foods as sesame seeds, Brazilnuts, and pinto beans, as Wikipedia (and Melissa) have pointed out. Phytic acid is also not all that dangerous. 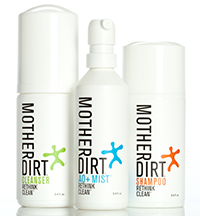 It is a mineral chelator, which leads to minerals being excreted rather than absorbed. 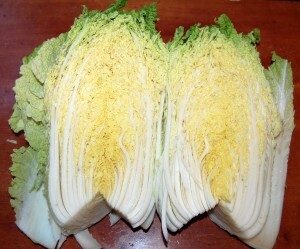 The primary risk is that it will induce a mineral deficiency. Because phytic acid preferentially binds iron, which can be dangerous, some advocate its supplementation. We don’t agree with that, but we don’t consider the small amount of phytic acid in rice to be dangerous, especially given that we recommend a mineral-rich diet and supplementation with both a multivitamin and specific key minerals. Nutrient density of an individual food is not an overriding concern. Only the diet needs to be optimized – not individual foods. It’s OK to eat a food that is low in nutrient density if other nutrient-rich foods make up for it. Our diet derives only about 20% of calories from carbs. Even for rice lovers, rice is unlikely to provide more than half that, or 10% of energy. If rice is half as nutrient dense as alternative “Paleo” starches, it diminishes nutrient intake by only 5%. That’s easy enough to make up by eating more vegetables, liver, and eggs – or by taking a multivitamin. Many Paleo dieters speak of “cheat” foods, as if it was somehow immoral, or a violation of the diet, to eat them. There are no “cheat foods” on our diet. For instance, we’ll often eat strawberries with whipped cream sweetened with rice syrup. This is low in nutrients, but also low in toxins. It would not do as the primary food of the day, but as a dessert or snack it is quite healthy. This is a point many low-carb dieters seem to forget. Macronutrients are nutrients too. The body needs glucose. Glycoproteins and polysaccharide molecules like glycosaminoglycans are important structural components of the body; certain cell types rely on glucose for energy; and the immune system relies on glucose for generation of reactive oxygen species to kill pathogens. If no carbs are eaten, the body has to generate glucose from protein. Glucose production may be insufficient or suboptimal. That was the point of our Zero-Carb Dangers series. Of course, in excess glucose could become a toxin. But the same can be said for protein and polyunsaturated fats. We don’t exclude meat or salmon from the diet because they can be over-eaten. One shouldn’t exclude rice either. A healthy diet should contain a diversity of foods. This will reduce the diet’s toxicity, improve micronutrient ratios, and increase meal pleasurability. Rice should not provide a large share of dietary calories – probably not more than 10% – but there is no reason to reject it merely because it is a grain. True, it comes from a bad family. But it’s the good child. Don’t hold its relatives against it.